About half of Americans age 65 and older take five or more medications daily and many mix prescription and over-the-counter medications with vitamin, mineral, and herbal supplements. With each additional medication or supplement, the risk of an adverse reaction increases. Even simple foods can interact with medication and cause the body to respond in unexpected ways. Medication-related issues are complicated by how medications are taken, when they are taken, how they interact with each other, and the general health of the patient. As a result, adverse drug reactions are an all-too-common cause of hospitalization among elders. Taking too much: Overdoses are the most common cause of drug fatalities. While painkillers, especially opioids, are most often abused, anti-anxiety medications and stimulants are also frequent culprits and any drug, including over-the-counter medications, can cause a life-threatening overdose. Taking too little (or “noncompliance”): There are many reasons people deliberately reduce their dosage or stop taking prescribed medication. Some feel better and think they no longer need it; some feel it isn’t doing any good; some are bothered by side effects; some are trying to reduce their costs by taking it less often. Confusing medications or administering them incorrectly: Many prescription medications have similar names, making them easy to confuse, or a facility may give the same medication under the brand name and a second dose as the generic name (i.e. Tylenol 650 twice a day and acetaminophen 650 mg twice a day given erroneously to the same patient). Medication interactions: With most elders taking multiple medications often prescribed by multiple physicians, the risk of dangerous interactions increases. Common complications result from side effects from one medication treated with another medication (i.e. Reglan, for nausea, leading to Parkinson’s like symptoms and treated with Parkinson’s medications). Patient error: Families and caregivers must be alert to elders’ ability to reliably manage their medications, particularly when even mild cognitive impairment is an issue. Here’s some practical advice for patients, families and caregivers to help reduce the risks of medication-related problems. Ensure that your doctor explains precisely what each medication is for, why the dosage has been chosen, and why it is important to take it as directed. Most important is that the doctor reviews the medication list and removes the medications no longer needed (i.e. decrease blood pressure medication when the systolic blood pressure has dropped to 120 from weight loss). Make sure each package is properly labeled and includes dosage instructions. Make a list of every medication you are taking, including over-the-counter, vitamins, minerals, and supplements, including dosage and purpose. Have it with you every time you talk to a physician or a pharmacist. Update the list when there is a change. Over the counter medications are NOT necessarily safer. No one should take the PM medications, such as TylenolPM (i.e. with Benedryl) since the Benedryl is anticholinergic and can lead to confusion, constipation, dry mouth and agitation. 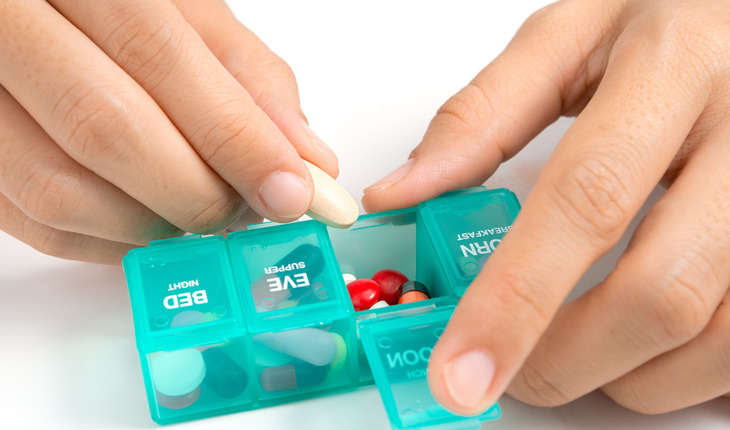 Make taking medication part of the daily routine: morning meds with breakfast, bedtime meds with tooth-brushing, etc. If it’s difficult to remember, consider a reminder system like a pill sorter or an alert on an alarm clock or mobile device. Keep the number of providers who care for you to a minimum. More importantly, the primary care provider MUST communicate with the specialists. Make sure each doctor knows which others you see and what they have prescribed. If possible, use only one pharmacy. Consider using an online tool that can help you identify possible medication conflicts. Tell your doctor about prior experiences with medications. Ask questions! Ask your doctor or pharmacist about possible side effects, proper storage and anything else that will increase your confidence that the medication is right for you and ensure that you take it properly. Seek a second opinion if you have concerns. Elizabeth Landsverk, MD is the founder of ElderConsult Geriatric Medicine, a house calls practice in the San Francisco Bay Area that addresses the challenging medical and behavioral issues often facing older patients and their families. Dr. Landsverk is board-certified in internal medicine, geriatric medicine and palliative care and is an adjunct clinical professor at Stanford University Medical School.